Hey, guys! 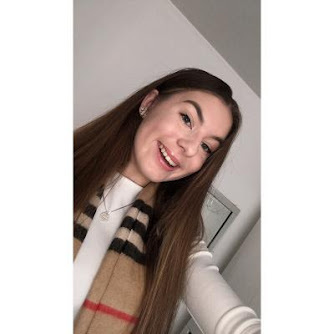 So as I had to do research for a project I needed for school on cruelty-free brands and I thought why not turn it into a blog post? I realised that they are a lot more brands that are not cruelty-free and still test on the animal then I expected! In my opinion, you shouldn't ever test on animals but I still use the products, I feel that it's not fair to kill a bunny got a mascara because it's life's more important!! it's so unfair testing on animals because the animals are so innocent and do not deserve that! It's not as easy to say 'oh I'll stop using Brands that test on animals' because a lot more brands test on animals then you would think! I didn't realise most of my favourite brands test on animals . I got the idea off beautywithchloe's so I can't take any credit for it! So let's get into the post, I hope you enjoy! 1. Urban decay! There one of my all time favourites high-end makeup brands and I was so happy to find out they don't test on animals! 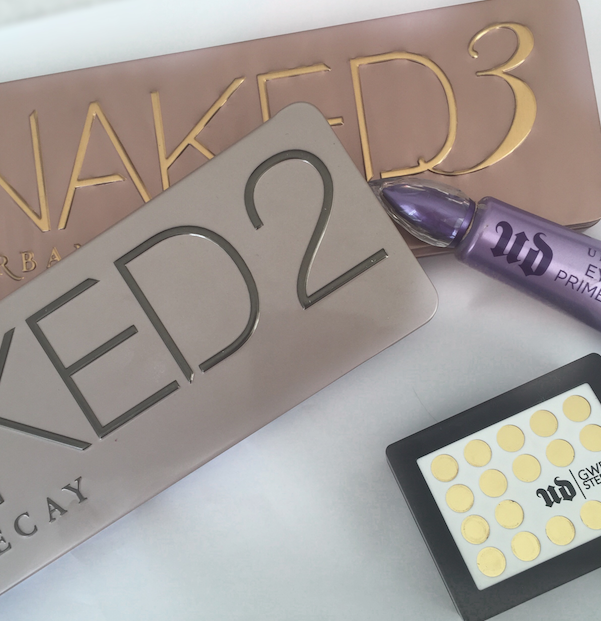 I love all the naked palettes because they are so pigmented and worth the money! the eyeshadow primer helps any eyeshadow stick to my eyelids it's an essential to me now! I would recommend most of these products to anyone! 2. 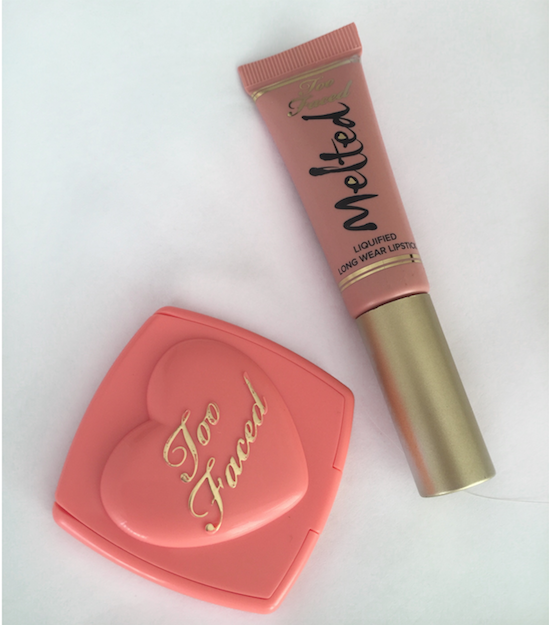 Too faced! This brand is such a good quality and beautiful with packaging that is so cute! I only have a mini Christmas set but I love it so much! I can't wait to invest in more of their products in the future because the melted lipsticks are so amazing and are so long lasting on the lips. As well the blush is also so pigmented and perfect for spring! 3. Lush! I love lush so much! The bath products are my all time favourites, there one of the only bath products brand I use now and the smells are so amazing. I love that there all natural because It makes me use them more knowing there doing good for my body and not putting chemicals on myself. 4. The body shop! 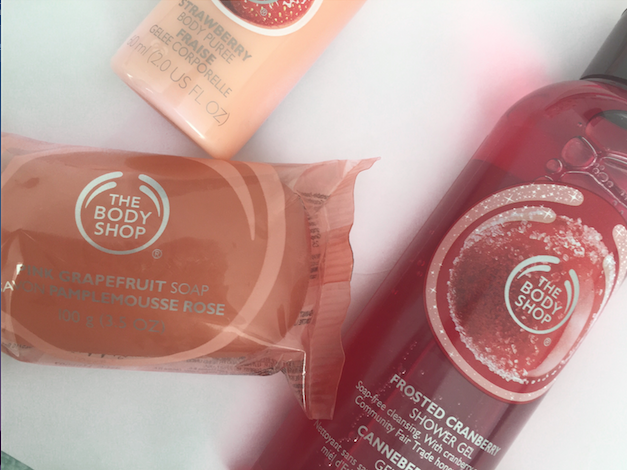 The products from the body shop are amazing! They have the best scents and quite a variation of products in each of the ranges. 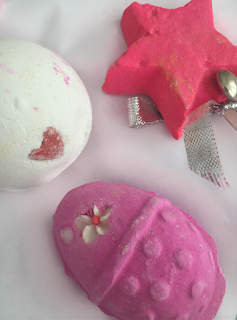 out of all the scents, my favourite scents are the Christmas frosted cranberry, strawberry or pink grapefruit I can't decide! So I hope you guys enjoyed! Let me know your favourite cruelty-free makeup / bath product brands in the comments because I would love to find more brands to try! I didn't know Urban Decay and Too Faced were cruelty-free! That's awesome; just gives me another excuse to purchase from them haha :) Lovely post!